Sometimes people mistake clothes moths for pantry pests (food and grain-infesting moths). 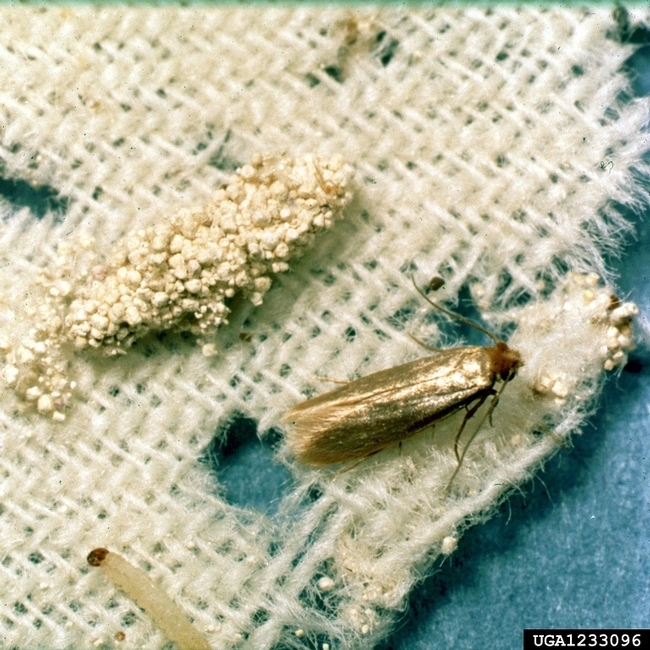 Clothes moths are small, about ¼ long, and only flutter about the area they have infested, typically around around bedrooms and where clothes are stored. Pantry pest moths are larger, and usually found around the kitchen and pantry where food is stored. If you believe you have clothes moths in your house, read about management techniques at UC IPM Pest Notes: Clothes Moths.